Planting anything in our back yard is an adventure. Over the years, a lot of junk was buried back there, evidenced by the fact that it’s nearly impossible to dig a hole and not find anything unusual. Last year we dug up a bayonet, a bath tub and bicycle handlebar. 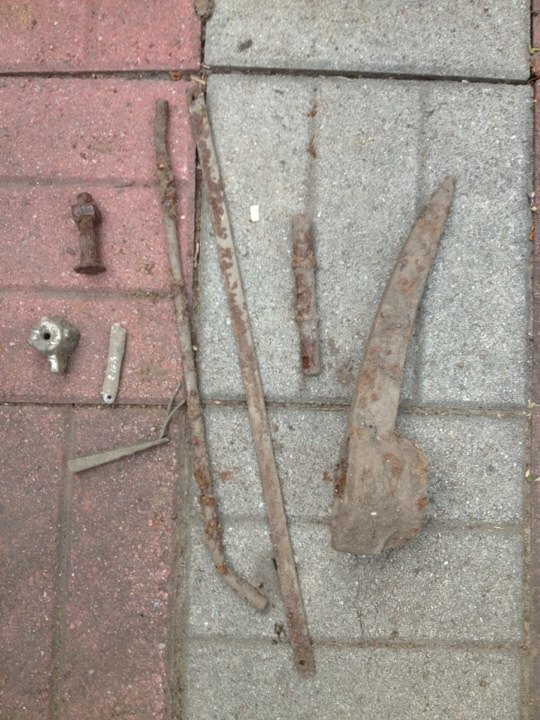 This year, I offer up a pick axe, random bits of metal, a giant bolt and a piece of a faucet.